Our UPVC wall boards and plastic decorative panelling enable endless interior decoration possibilities, from the most traditional to the most modern. With little maintenance, our colours and structure are combined with flawless finishing and a wide range of coordinated trims. To complement our range, and to ensure that installation isn’t a problem, we also supply a great range of fast cure sealants and adhesives. Our plastic panelling options are low maintenance, easy to fit, water resistant and Class 1Y fire rates. 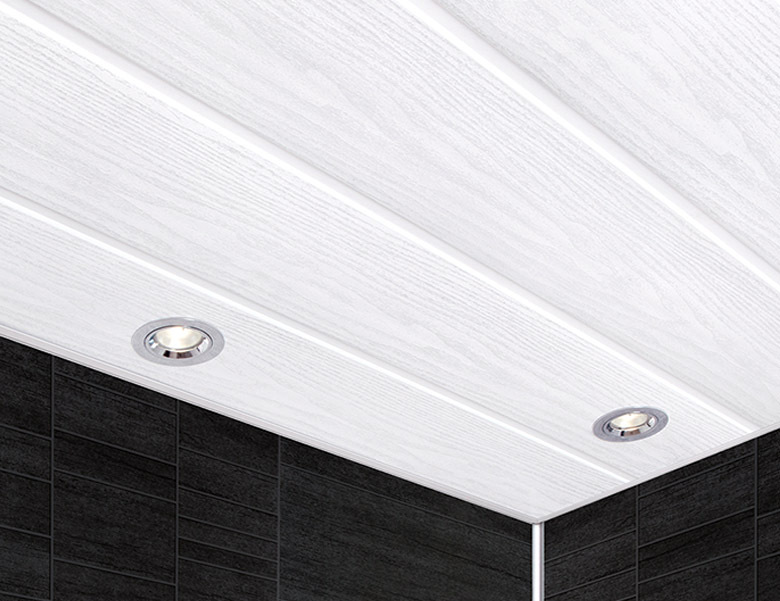 Our range of ceiling panels will transform any bathroom or kitchen. They provide a fresh, clean finish that looks superb against almost any setting, whether it be traditional and rustic or modern and contemporary these panels really do suit any room. We have a choice of a simple, gloss flush finish (for the classic, traditional look) or a modern white or metallic panel with a chrome bead already fitted (for the more modern, contemporary look). They are quick and easy to install, water resistant, colour fast, washable, very light and require very little maintenance once fitted. A quick wipe down with soap and water once in a while is all that is required to keep your panels looking clean. A range of styles to choose from. This range of wall cladding can be installed in about half the time required for tiling and does not need grouting. Add to this the fact that it looks absolutely stunning and you have an instant winner! The patterns make walls and ceilings come alive in beautiful marble or wood effect finishes in a wide choice of colours. Classical or contemporary, understated or bold, there’s a wide range of panels and decorative frames for walls in every room. After experiencing huge demand for our standard range of wall panels, we have taken the next step and enlarged the range. We have now developed another eight colours with the emphasis being on providing a richer, warmer type feel to them to complement our existing range of clean and fresh looking panels. These panels will brighten up any room and look fantastic when coupled with our PVC ceiling panels and flooring range. The seamless grooves lead to a perfect finish, slotting together easily in no time at all. The panels are very durable and easy to maintain – a simple wipe down with soap and water is all that is required. 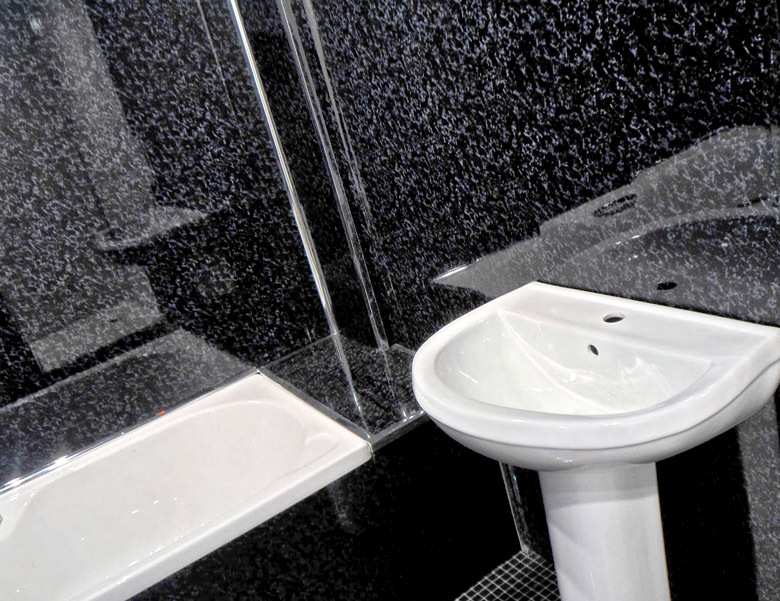 Our Elite range of panels are also very hygienic and require no grouting. Stylish and attractive range of tile panels. 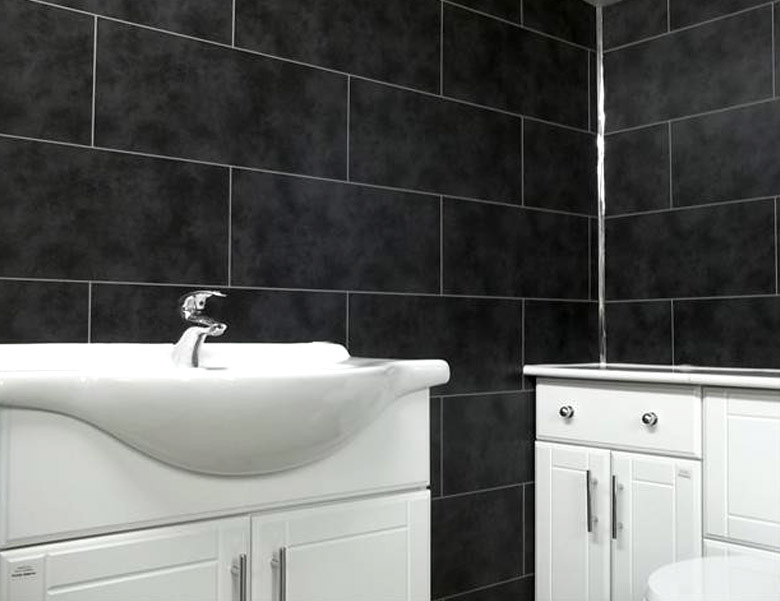 Our tile panels are the perfect solution for those wanting a traditional style tiled look to their walls but without the need for old style, dated tiling – with our panels you will get a clean, fresh and stylish finish without the need for tile cutting and grouting. Our tile panels are quick and easy to fit, requiring very little DIY experience and minimal tools. They will not delaminate, crack or warp and maintenance could not be easier – a simple wash down with soap and water is all that is required occasionally to maintain that good as new look. 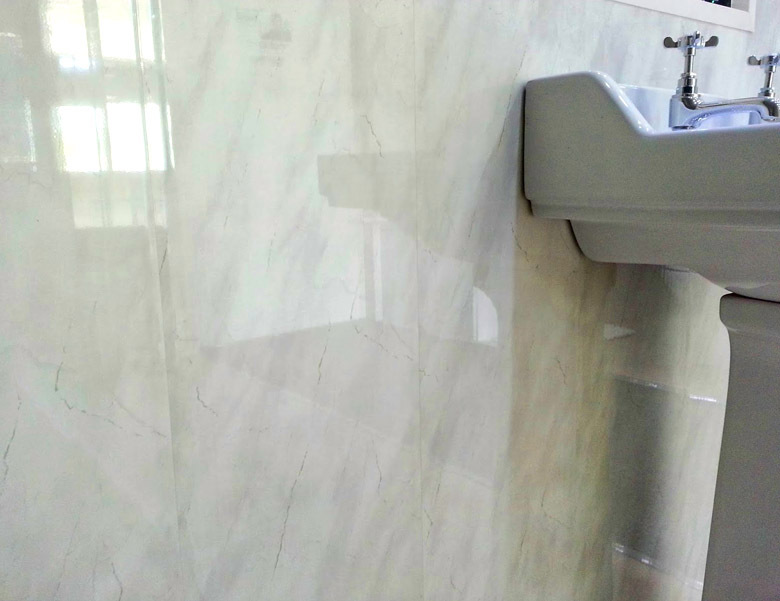 The lack of grouting also leads to an improvement in hygiene and excellent product life span – the panels will not crumble or deteriorate like traditional tiles can.